Arun District Council has built a high-spec centre for its residents and as their leisure partner we cannot wait to imbed it into its community. We are especially excited about the brand new pool and the extended learn to swim programme on offer that will allow us to support even more children and adults to learn to swim. This all started as a bit of a dream in 2011. We looked at the leisure centre we had then and thought there wasn’t a lot of life left in it. We wanted to offer something better for the wellbeing of our community, and here we are today after a lot of hard work! 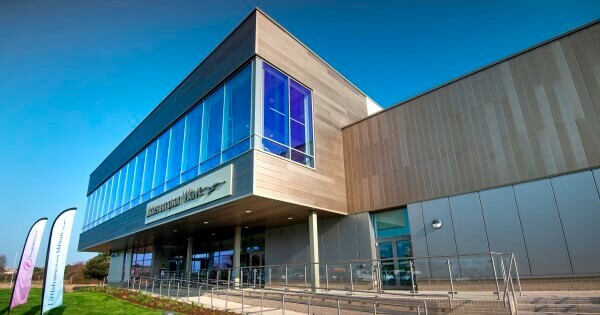 This fantastic leisure centre will stand us in great stead for the future and we can’t wait to see the public enjoying all that it has to offer. “Arun District Council has built a high-spec centre for its residents and as their leisure partner we cannot wait to imbed it into its community. As experienced leisure operators we have a longstanding track record of working positively with the whole community including inactive and underrepresented groups and this centre is going to provide the opportunity for us carry on this great work. We are especially excited about the brand new pool and the extended learn to swim programme on offer that will allow us to support even more children and adults to learn to swim."